The power and importance of original quotes cannot be stressed enough. It is most revealing and undeniable, especially to the incredulous, to let Presidents, Prime Ministers and military leaders speak for themselves. If enough people in power say much the same thing, you can be sure that there is a policy in there somewhare. Through tutoring, speaking, articles, debates and general argument, I have always found that original quoted statements have the most powerful impact; far more than any dialogue from me or any journalist or academic could ever have; and were an integral part of my political education. Some of these quotes are chosen not necessarily because of who said them but how true and educating they are. Although some of the quotes may be dated, the ideology of capitalism remains more inhuman, predatory, warlike, not only murderous but more genocidal every day. Many of these quotes are not widely known, some not at all. So spread them as widely as possible so that many more people can know what really goes on in this troubled world in our name. Ever wondered how is it that after more than some 200 years of modern capitalism, the vast majority of humanity in this overwhelmingly rich and abundant world is still in massive poverty and debt of some hundreds of billions of dollars to the rich world? This “debt” is absolutely unpayable. It is such that the rich world owns the national wealth of these countries in perpetuum. Otherwise how is it that they are still so poor after so long? They are only so poor because we are so rich. There is no other way of looking at it. Especially for us British, who have plundered the world’s raw materials and cheap labour for centuries. And under imperialism, the rich capitalist world of the US, Britain, and the rest of the wealthy world still take everything from them every day. “The foreign policy that monopolistic capital imposes is a ruinous one for the people of the United States. The United States had some thirty billion dollars in gold in its reserves at the end of the Second World War; in twenty years it had used up more than half of these reserves. What has it been used for? With what benefit to the people of the United States? Does the United States perhaps have more friends now than before? In the United States many people proclaim that they are defending liberty in other countries. But what kind of liberty is it that they are defending, that nobody is grateful to them, that nobody appreciates this alleged defence of their liberties? What has happened in Korea, in Formosa [Taiwan], in Vietnam? What country has prospered and has achieved peace and political stability under that protection from the United States? What solutions has it found for the great problems of the world? The United States has spent fabulous resources pursuing that policy; it will be able to spend less and less, because its gold reserves are being exhausted. “What sort of world will we hand over to our children? What sort of life lies ahead for those five billion mouths that we will have to feed in our underdeveloped world, those five billion bodies that have to be clothed, shod and sheltered, those five billion minds that will strive for knowledge, those five billion human beings that will struggle for a decent life, worthy of the human condition. What will their quality of life be like? The Executive Director of UNICEF has said that in 1981 the life of a child would be worth less than $100. If such a sum were judiciously spent on every one of the five hundred million poorest children of the world, it would cover basic health assistance, elementary education, care during pregnancy and dietary improvement, and would ensure hygienic conditions and a water supply. In practice it has turned out too high a price for the world community. That is why, in 1981, every two seconds a child paid that price with its life. …In the face of nuclear war threatening us, the drama of underdevelopment and exploitation that oppresses us, and the economic and social crisis that plagues us, there is no place for resignation of accommodation. The only solutiomn in keeping with man’s stature is to struggle. Mr Chairman and distinguished representatives, frequent mention is made of human rights, but mention should be made of the rights of mankind. Why should some people go barefoot so that others may ride in expensive cars? Why should some live only 35 years so that others may live to 70? Why should some be miserably poor so that others may be exaggeratedly rich? FALLSBURG — The Town of Fallsburg Police Department has reassigned Martin Gonzalez from his duties as Fallsburg Central School District’s School Resource Officer (SRO). Gonzalez, who found heroin inside a men’s bathroom at the Benjamin Cosor Elementary School in Fallsburg last month, remains a police officer with the department. A previous NYS Medal of Valor awardee for a 2011 rescue effort in Liberty, Gonzalez is not accused of any wrongdoing and is not under investigation, said Fallsburg Police Chief Simmie Williams. Calling it “the toughest decision of my life,” Williams said Gonzalez is being replaced for the sake of the SRO program. At Monday’s Fallsburg Town Board meeting, a group of teachers told town officials that they no longer trust Gonzalez and criticized the way the police had handled the heroin investigation, which focused on more than half a dozen faculty who had accessed the bathroom prior to the drug discovery. That’s the school I graduated from in June 1961 at the tender age of 16. 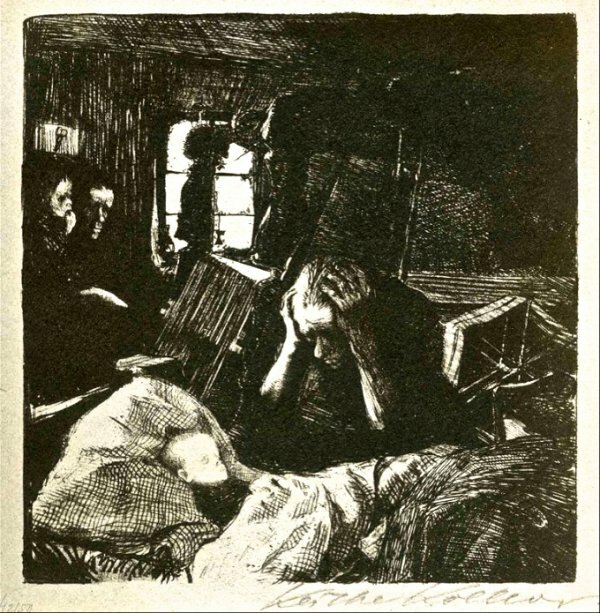 Back then the only thing we knew about heroin was what we saw in movies like “A Hatful of Rain” or “The Man with the Golden Arm” that were set in the slums of New York City and Chicago respectively. By 1975 most of Sullivan County had turned into a rural slum, mostly the result of the Borscht Belt hotel industry hollowing out. In 2012, the median family income for New York State was $52,095, for Sullivan County it was $43,458. Most of the jobs are in the public or nonprofit sector, like working as a prison guard or as a hospital orderly. Back in the 1950s, many people who decided to remain in the area rather than moving to New York City opened small businesses or went to work for their parents. With the collapse of the tourist industry, that possibility no longer exists. It’s not just that Sullivan County has had the highest unemployment rate, the worst health care outcomes, and the highest percentage of poverty in upstate New York for years. Just walk down Broadway, the main street of Monticello, and the answer is clear. Broadway, once a thoroughfare famed for being the epicenter of a booming Borscht Belt, is now basically an abandoned main street devoid of businesses, its storefronts empty and failing into disrepair. The lights on this Broadway have been turned off for decades and Monticello’s business district is a ghost town. Gangs and drug abuse run rampant in Monticello and prey on its poor residents living in subsidized projects and crumbling neighborhoods abandoned by a fleeing middle class and taken over by absentee Section 8 landlords. Just around the time that the tourist industry began dying, Sullivan County began becoming more African-American and Latino. I am not sure what explains the demographic change since the region was not generating new jobs. 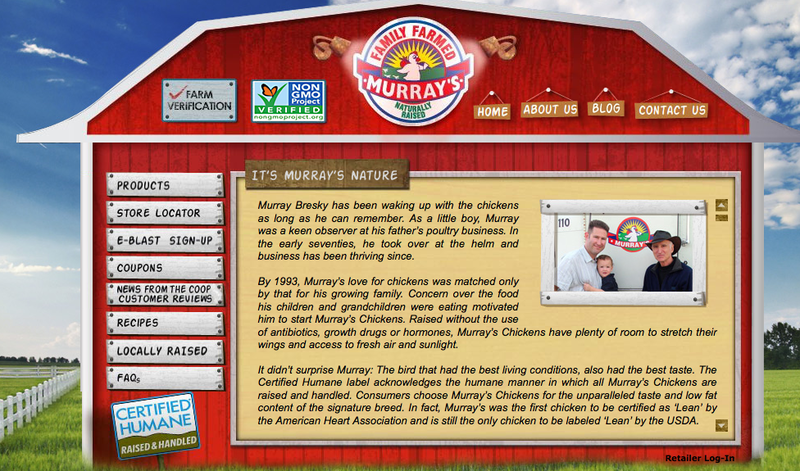 One of the big employers for Latino workers is Murray’s poultry, a supplier of “organic” chickens and turkeys to NY grocery stores. Mrs. Murray Bresky was a woman named Ellen that was in my class back at Fallsburgh High School. I doubt that I spent more than five minutes in conversation with her my entire time there. When Jose Navarro landed a job as a federal poultry inspector in 2006, he moved his wife and newborn son to a rural town in Upstate New York near the processing plant, believing it was a steppingstone to a better life. Five years later, Navarro was dead. The 37-year-old’s lungs had bled out. His death triggered a federal investigation that raised questions about the health risks associated with a rise in the use of toxic, bacteria-killing chemicals in poultry plants. Agriculture Department health inspectors say processing plants are turning to the chemicals to remove contaminants that escape notice as processing line speeds have accelerated, in part to meet growing consumer demand for chicken and turkey. At the end of each workday at Murray’s Chicken, Jose Navarro would climb into his Ford station wagon, drive by the Holy Ghost and Fire Church, and pass a single stoplight to reach his rented home in South Fallsburg, N.Y.
His wife, Nicole Byrne Navarro, said he would give “lengthy, detailed reports” each evening about his concerns about the plant, which often focused on the chemicals used to disinfect both equipment and birds. Several months before he died, he coughed up blood, but it “self-resolved,” according to the autopsy report. Then on Nov. 19, 2011, he began coughing up blood and went to the hospital, where his lungs continued to hemorrhage. He died a week later after his lungs and kidneys failed, the autopsy report said. At the time of Navarro’s death, Murray’s Chicken was using chlorine and peracetic acid to treat the birds, according to federal records and interviews with company officials. Chlorine and peracetic acid are two of the most commonly used chemicals in plants, according to OSHA inspection documents and interviews with USDA inspectors and poultry plant workers. At plants where line speeds have been increased, inspectors and plant workers say chemical use is on the rise and that the exposure time to the chemicals has been extended. Sometimes a third chemical is added, but that practice varies from plant to plant. Gordon Jenkins outside his store in Monticello, N.Y. “You look at the heyday of this place, and it was beautiful,” he says. You might think Gordon Jenkins would be excited. He just made history, elected on Tuesday as the first black mayor of this faded resort town. And a day later, people filter nonstop into his G-Man shop, a beauty supply, hip-hop clothing and footwear store on Broadway, to shake his hand, give him a hug. Drivers honk at him on the street, and passers-by give him the thumbs-up and shout, “Jenkins for mayor!” They bring him free coffee from the bagel store next door. Big-shot lawyers wander in looking for jobs. Things went downhill rapidly after Jenkins took office, especially—surprise, surprise—when it came to the local cops who probably were not used to seeing a Black man in a position of authority. His first run-in occurred in February 2012 when police were summoned to his store to eject a 300-pound man who was trying to pick a fight with Jenkins. In the ensuing melee Jenkins accidentally hit one of the cops. That was not extenuating enough for him to be convicted of a misdemeanor last month. His next run-in occurred on November 16, 2013 when he showed up at a major auto accident not far from his home, something he saw as his responsibility. Unfortunately, he had some alcohol on his breath and the cops ordered him to take a Breathalyzer test. Upon failing it, they took him to jail where he threw a tantrum while in custody. Carmen Rue, a Republican on the Town Board who has been spearheading a drive to remove Jenkins, made the tape of Jenkins available to the news media that played up the story as Monticello’s Rob Ford. JANE VELEZ-MITCHELL, HOST: Tonight, the latest mayor gone wild. Yet another politician behaving badly. And once again, it`s all caught on tape. UNIDENTIFIED MALE: Charged with drunk driving, busted by his own cops. GORDON JENKINS, MAYOR OF MONTICELLO, NEW YORK: And trying to do the (EXPLETIVE DELETED). Straight out to the attorney representing this guy, caught on tape, Mayor Jenkins. Now, you`re reported as saying that the mayor`s base has suffered indignities at the hands of the local cops, and they understand what he was saying. Well, please translate, because I don`t really understand what he`s saying. VELEZ-MITCHELL: Well, why don`t you educate us as to what this gentleman that you represent is talking about? SUSSMAN: Let`s start with this, please. The mayor was at a social engagement Saturday night. The mayor understood there was a serious accident in his community, and he drove over to give assistance at the accident. Instead, an individual who had been passed over for police chief has testified in his sworn statement that he waited for the mayor to get into a vehicle, thereby endangering the public if he was really drunk, waited for the mayor to drive away, and then picked up the mayor. He then brought the mayor back to the police station and chained the mayor to a wall for approaching nine hours. When the mayor asked to have his lawyer called they essentially laughed at him and never called me. SUSSMAN: All of you have such strong opinions, but none of you know what occurred. VELEZ-MITCHELL: His words are his words. He`s calling people names that I cannot repeat here. SUSSMAN: Let me try to respond to what you`re all saying for a moment. OK? VELEZ-MITCHELL: Well, that`s — all of that is even more of a reason why he shouldn`t do that. He should have known better. SUSSMAN: Let me speak for a moment. You have five guests who have one opinion. Let me explain the situation, please. VELEZ-MITCHELL: OK. Go for it. Because we`re running out of time. That goes across the board, obviously. Blacks get long sentences for selling or possessing crack cocaine while white professionals get a slap on the wrist for using powdered cocaine, a recreational drug. It doesn’t matter that Jenkins was once a law enforcement employee. Once he got on the wrong side of the Town Board, he would end up under a microscope. What’s the lesson in all this? 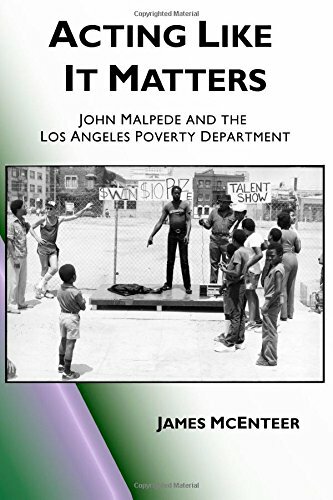 Fifty years ago I never would have imagined that my home town could end up looking like it does today, with heroin busts, vendettas against a Black mayor, and rural squalor. But then again I never would have imagined back then that the USA as whole would be as bad off as it is today, with cities like Detroit writing large what is happening in my old home town.